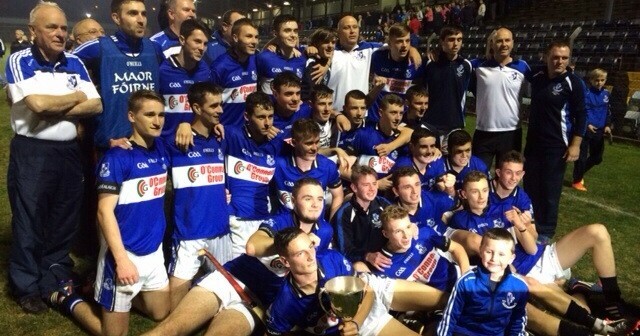 Sarsfields are Premier Minor champions for 2014. Another superb game, with our lads showing great commitment and a fine range of skills. Spare a thought also for a gallant Killeagh/Itas side who contributed hugely to two great encounters. And so a season that commenced for these lads on January 16th, came to it’s championship conclusion with Inspiring captain Paul Leopold accepting the trophy on behalf of Sarsfields. Certainly the hard work put in over the year by both management and players got it’s reward this evening. Congrats and well done to all involved.